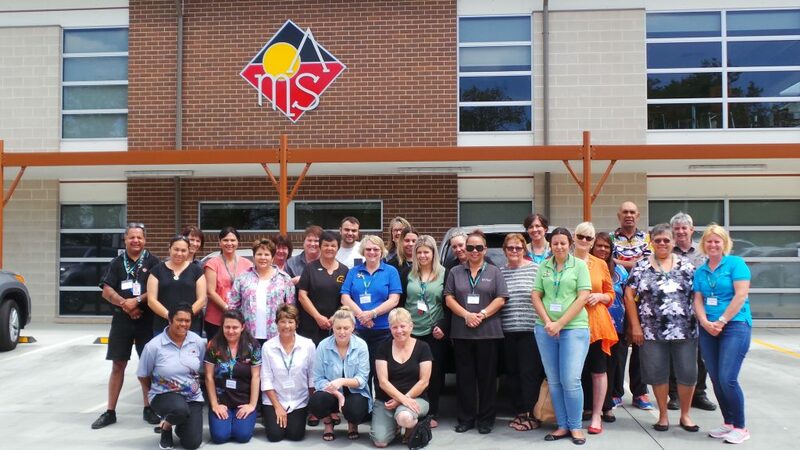 On International Day of the World’s Indigenous Peoples, Colina Waddell, Brien Holden Vision Institute Project Manager, Aboriginal Vision NSW writes about her work with Aboriginal community. I feel privileged to have worked for the past 17 years with Aboriginal Community Controlled Health Services in the state of New South Wales on the East coast of Australia. During those years, I have made some best friends with local Aboriginal Health Workers (AHW) who coordinate optometry services in their communities. As the first person the patient sees, AHWs build a wonderful relationship between the patient and the visiting optometrist. They are the true champions on this International Day of the World’s Indigenous People. The NSW Programme was started in 1999 by Professor Brian Layland and the late Professor Brien Holden, in collaboration with the NSW peak body for Aboriginal Health – the Aboriginal Health and Medical Research Council of NSW (AH&MRC). The Institute has always provided free optometry services to AH&MRC member services and any other communities that request services. We ensure that patients have access to spectacles through either the NSW Government’s Spectacle Scheme or the Brien Holden Vision Institute low cost spectacle range. During 2010-2015, I was involved in a wonderful project, the Vision CRC ‘Models of Vision Care Delivery for Aboriginal and Torres Strait Islander Communities”. It built on evidence and guidelines for Indigenous eye care for Aboriginal Australians, working collaboratively with Aboriginal Community Controlled Health Services in NSW & NT to identify the most practical, workable solutions to improve access and uptake of eye care in “real-life” settings. We saw annual retinal exams for adult patients with diabetes increase from 33% to 48%. Patients had better referral pathways due to stronger eye care systems and we worked with 19 primary health care clinics educating 276 primary health care workers in eye health. In partnership with the communities, we worked to develop a free resource, the Eye and Vision Care Toolkit for Primary Health Care Workers and Aboriginal Community Controlled Health Services, which can be implemented to help improve Eye Health Services in their communities. I am also over the moon to be the Project Manager for the new Provision of Eye Health Education and Training. A consortium of five organisations from across Australia will work in this Australian Government funded partnership. It will build on existing links and experience in Indigenous eye care, in discussions with local and regional stakeholders, and service providers. I will have the privilege to work as part of this consortium to provide communities across Australia with 105 non-mydriatic retinal cameras (and/or slit lamps where required) for their primary health care clinics that provide care to Aboriginal and/or Torres Strait Islander people. Importantly, sustainability will be addressed by training Aboriginal health workers, nurses, general practitioners on use of the camera. 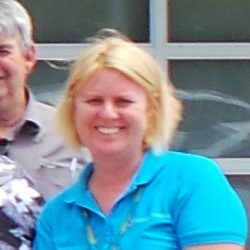 I love my role at the Brien Holden Vision Institute working with Aboriginal Communities. It is extremely personally rewarding to help where I can.